Charlestown RI single family home sales are down now over the banner 2012 real estate year but sale prices are up 10% in 2013! The real estate market this September 2013 is up by 138% in this oceanfront community over the prior month. Charlestown RI oceanfront is fantastic and so is the waterfront real estate here! Charlestown RI home sales is a surprise this past month. No luxury waterfront homes sold this month for $1 million and over. Charlestown’s home absorption rate at this rate has moved to a balanced real estate market here along with the a declining home inventory. Breakdown of the 19 Charlestown RI home sales is as follows for the month of September: 8 homes sold under $300,000, 5 homes sold between $300,000-$400,000 and 6 homes sold over $400,000. Charlestown RI property sales still indicate that the best value for location, taxes and coastal living is the under $300,000 home market here. Charlestown RI home sales year to date through September 2013 are down by 24% over same time period through September 2012. Actually 2013 home sales through September 2013 stand at 85 home sales compared to 112 sold through September 2012. There is no doubt that homes here are desirable to buyers in all price ranges. From coastal Charlestown homes to the rural country homes. You are never far from the ocean here. It is a great time to buy in the Quonnie area too if you are looking at true waterfront and walk to water Charlestown homes for sale. Search for Charlestown RI homes for sale here. Looking for a Charlestown RI waterfront real estate agent ? 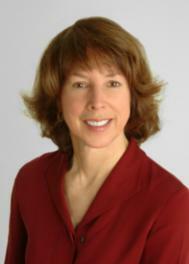 Ginny Lacey Gorman knows her Charlestown RI waterfront real estate market. I would love the opportunity to help you in your search or sale. Contact Ginny Lacey Gorman today at 401.529.7849 or email me at Ginny@RiHouseHunt.com. Knowing current FEMA flood map changes, building construction needs in coastal areas and staying abreast of RI septic changes is a small part of my skills set that works for you..
Ginny Lacey Gorman is a Rhode Island waterfront Real Estate Agent who works and knows the Charlestown RI geographic area of homes for sale, schools, happenings and important tidbits of information well. Coastal, water view, ocean front, luxury and waterfront Rhode Island real estate are my specialty. If you are considering Buying, Selling or Relocating to Rhode Island and need a real estate Professional it would be my pleasure to help you! When you are in need of an internet savvy RI realtor® who sells homes in this real estate market, call Ginny today at 401.529.7849.